MILLIONS NOW CALLING FOR SECESSION are fearful that the formerly ‘United’ States of Amerika is about to crash and burn. As of November 14, 2012, citizens from all 50 states have filed petitions on the White House Website (“We the People”) to secede from the union. Texas leads the movement in the secession race with 101,328 online signatures, followed by Georgia with 42,000 signatures and Louisiana with 32,000. • And finally RESTORE OUR CONSTITUTION! Each and every item above that millions of Americans want negated have ALL been installed (including Glass-Steagal) by American Jewry except the Constitution. Jewry’s shredding of the Constitution begins with its endless and evil instigation and succession of utterly Unconstitutional wars across the globe, criminalizing free speech, passing hate speech laws, and curtailment of the right of Free assembly…which often ends with the herding of demonstrators into so-called ‘free speech zones’…always well away from the protestor’s targets. 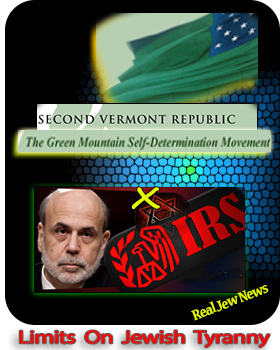 Part of the work of a self-determination/secession movement known as the Second Vermont Republic is that the Manifesto’s end result would theoretically eliminate the tyranny and oppression of the main power bloc in Amerika - International Jewish Zionism. “We have become pawns of a global system of dominance in which MegaStates control us through money, markets, and media, sapping our political will, civil liberties, collective memory, traditional cultures, and political independence.” View Entire Story Here. INTERNATIONAL AND AMERICAN JEWRY has a total lock on our money system via savage political bribery and blackmail, and the wicked, pernicious control of all the chokepoints of globalization, and the media. This is why I LIKE secession. For by narrowing the field of financial and political trade - and media power – via secession, limits on Jewish tyranny could become both manageable and containable. In the Libertarian book, “Human Scale,” author Kirkpatrick Sale argues against the “one-size fits all” paradigm inherent in Federal tyranny. OPPOSING THE COERCION of big government with its laws and institutions, the author advocates a “small is better” ideal in which “local” people decide and implement those things they actually understand and can effectively monitor. Regulating and controlling aggressive and suffocating Jewish control would, in fact, be the ultimate HALLMARK of the secession from our Jewish-run Federal government. This - for more than ANY other reason - is why I LIKE the idea of state SECESSION. Yes Siree! 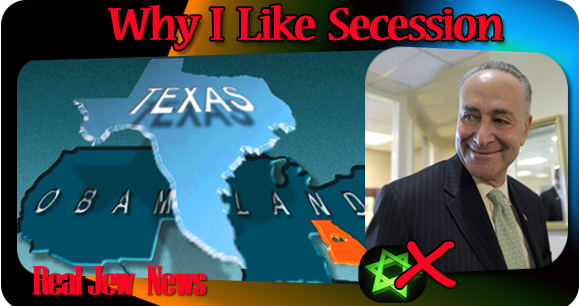 We FINALLY found an answer to JEW CONTROL that PLAGUES our nation…Secede! Secession! Secede! Perhaps it will never happen BUT AT LEAST it is beginning as a grass roots movement with the chance he can really grow. I am really getting down to the bone again with finances. Another of my major regular contributors has STOPPED helping me besides the others who STOPPED. This is really discouraging. Then today I just learned that the Creche I use for the Nativity Scene CANNOT be repaired due to it being broken up by HIGH WINDS last December 2011. I called Hobby Lobby where I bought the Outdoor Very Large Creche but they NO LONGER carry it. I can’t find anywhere the large size I need. I had to call a home builder here in Summit County who helps me put up and take down the Nativity Scene and he is going to build me one from scratch which COSTS MONEY. Besides the Nativity Scene Project, (I still hope to launch the “Stop The Menorah Project” in 2013 if I can get the funding), I have HIGH EXPENSES running this site. Anything is welcome so long as Jews can be dismantled from the control of nations. Jews are a minority in any nation except in Israel which they stole from another people by the power of their filthy lucre to bribe and blackmail governments. Everybody can agree that Democracy to have any meaning at all is for political power to be in the hands of the majority. Political power in the hands of a very minute minority is not democracy but the opposite - DICTATORSHIP. The Secession petitions may be just symbolic at the moment. As much as the Ovomit White House laughs and snickers it off and slaps their knee in mockery with Leno, better believe that they’ve already got their spin doctors working on how secession is illegal and unconstitutional, and how to nip this thing in the bud pronto. The popular sentiment of Secession has shown up as e-petitions on an official White House government site from all over the US, and further, the story been carried in the Mainstream Media and a lot more people are seeing it than the exposure on the usual alternative sites. It is not so easy to dismiss this thought in the minds of the populace. Great article, and nice to have something a little more moodlifting and positive to kick around. The Republic of Jefferson lives! The secession movements have already been polluted with some of the Secular Few’s pimps and prostitutes. A minute few are blatantly boasting about it and most are quietly supporting it while abiding their time. Most importantly, only under Christ’s rule will we achieve true peace and prosperity. History has proven that man is unfit to rule over himself and it definitely will be no different next year. One must believe in the good Lord with heart, mind and soul. Why do you think that the Hebrews wandered in the Wilderness for oh so long? Currently, all have lived under the system far far to long and we all have been influenced/corrupted in one way or another. And why are the fake Jews, the Khazars, in Palestine now? Believing in the Lord will not get you your rights here in this world unless you fight againstt these devious Jews by whatever means possible. Nor will morale lowering comments like yours help the weak among us to motivate them to put up the necessary resistance. We will all be SLAVES. JEW New World Order COMMUNIST DICTATOR COMING. RON PAUL was your Last Chance. Based on what has gone on so far this would be a logical alternative. Why look back to the republic and the constitution? Look forward to the Kingdom of God. If it was near then, now much more is it now! Secession is attractive, but keeping the Yids out of a new country that White American Christians create would be a major problem. Even if a secession movement is successful, the filthy Jew-parasites would infiltrate, burrow in, and begin their usual destruction from the inside. Unless we can figure out a way to keep the Jews out of our new nation, it is doomed from the start. Secession would seem like a good idea and I am tentively for it. One misgiving I would have, a thought I came up with while watching similar movements arise throughout Europe, is that it could inadvertently play into the Jewish NWO agenda. The UN still exists and would like to become the world government. Small States may find it harder to resist that goal. China is vast and would like more room for its’ population. Since they are still very much Marxist and have always been traditionally racist I would worry about them. Also Israel still exists and might be able to better threaten and manipulate small States. A coalition of Jewish influenced States could gang up on isolated ones. I think if the States joined together in opposing Federal overreach and also brought criminal and treason charges against the President as well as many members of congress that would be a safer solution. It would more like a temporary secession to fix and restore the Republic to its’ original form. Not to be misunderstood, I like the idea of secession, I am just pointing out the possible dangers in it. What about the root of all modern greed roots, that is jewish colonization of every nation’s central bank around the world? Although I like the idea of secession, I also believe it is unlikely. I think the more likely scenario will be that the few people who still have decent jobs simply give up and quit working. For example, by the time the gov’t and Blue Cross get done extorting my paycheck, I bring home sixty-cents of every dollar I earn. When it gets to the point that I bring home less than half, I’m finished playing their games. Our financial collapse is being engineered (by you-know-who). Perhaps we should call their bluff and quit participating in their system on an individual basis. I also like the idea of secession, but we need to exhaust all the power we have out of the 10th Amendment first, through nullifying unconstitutional federal laws like Obamacare, the NDAA, sexual assault by the TSA, etc. There’s a significant hurdle to overcome in secession, namely in figuring out what becomes of federal entitlements like Social Security and the like. Not to mention the distinct possibility of Obama morphing into Abe Lincoln Jr and declaring war on the mostly Christian “Red” states which would secede first, using pompous arrogant liberals from Jewish-controlled “Blue” states as a new “Union” army! Not a good scenario, to have a second Civil War what with all the space-age weapons the Feds would have at their disposal. The only way secession could work is if we can get at least 3/4 of all the states to secede at the same time. This is do-able, but it would require organizing towards this end first. In the meantime, we should pressure our state legislators to assert our 10th Amendment rights through nullification. A lot of states are already doing this. In the petition issues one thing was left out: To abolish the Federal Reserve. This is a degenerate, parasitic bank that should not be allowed to continue. Secession threat is encouraging news to get away from those East coast State Liabilities. What do you need for the Nativity scene? It was nice last year. You need tools, lumber, metal? I live 1/4 mile from there. You can’t comment about secession without eliciting a Southerner’s response. To me it has always been apparent that empowering the state empowers the individual and gives greater power to the locality, whereas empowering the federal government opens the door for tyranny, diminishing of the individual and increased ease of propaganda, social conditioning programs, etc. When the Confederacy seceded 150 years ago, it was the last-ditch effort of wise men to stop what they saw as the inevitable rise of an unstoppable beast. I’m sure they saw the powers that fueled industry and the disregard the ‘industrial revolution’ held for the individual’s sovereignty over his own soul. Men did not leave their homes and families for slavery, they went and fought for ‘the cause’. What was that cause? I believe it’s the same cause that any open-minded, Christ-following person attuned to his/her own heart believes. The cause is that we might live with REAL life, liberty and the pursuit of happiness. These things have become unattainable and, worst yet, they have twisted the minds of the people through their wicked doublespeak so that the average individual cannot even recognize fact from fiction. I dare to go this route, for what constitutes treason has become so vague, but my allegiance has always and will always lie with the recognition that God endowed us with certain, inalienable rights, and the Constitution, un-amended, was meant to guarantee those rights for posterity regardless of what winds swept the political seas. I know the men that fashioned, formed and fought for the land in which we live because I have spent my life, daily, studying them through the letters, journals, articles and books they wrote. I know them by their words, and the Truth that guided them along with the Grace with which they guided their steps. They are my fathers because I seek to be like them, and bring honor to them, as any decent son would. It has to start locally and spread until the state is consumed with the patriotic vigor. As states become united in their cause of restoring personal liberty and sovereignty of the soul to the person in Christ, NOT a corporation (BODY) that is anti-Christ. It begins with everyone only speaking of this idea, forcing everyone around them to consider it, digest it and ultimately accept it, regardless of whether it conflicts with their programmed desires to discuss only the hedonistic trivialities of life. In the end we will be judged by our God and the opportunities we seized upon to profess the Truth and Grace of our Savior, Christ Jesus, will be our shining moments. 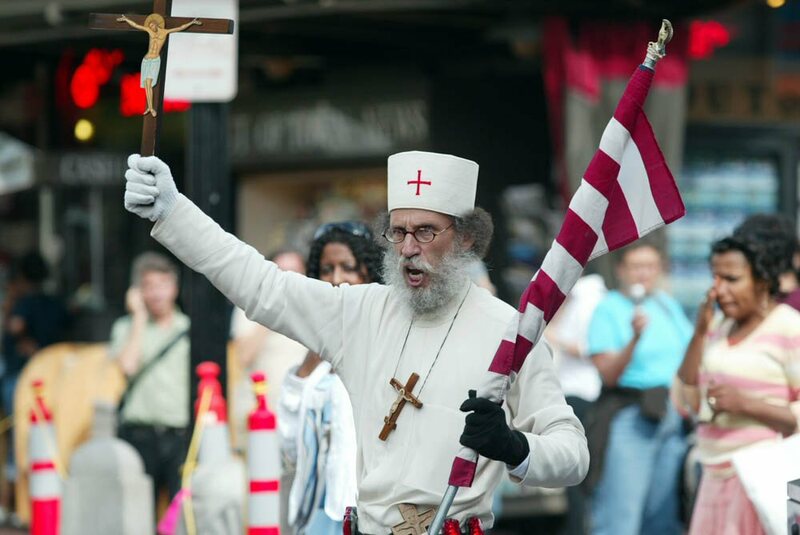 Fan the flames of patriotism and renewal in Christ, ceaselessly work through both word and deed to set the example and encourage our brothers and sisters that life is indeed worth living when we rectify the wrongs of our fathers and reinforce the rights for which they fought so desperately. May God bless all of us and keep all of us through His unending Love, manifested in the Grace and Truth of Jesus Christ, our Lord and Savior. The Fed Government steals money from you, takes their cut, and gives some of it back to you (if you’re lucky). The 7th, 9th, and 10th Commandments are violated in one shot. Ah yes, the much-maligned Pinochet, who is hated almost as much as Hitler, and for the same reason: His dislike of Yid-run Communism. Of course, Chile’s post-Pinochet Gov’t is today getting their fingers in the pie again. Once upon a time, the Church took care of the widowed, the orphaned, the sickly, and the poor. In this post-Christian age, people expect the government to do it, while Uncle Scam takes ninety-cents of every dollar for bureaucracy. What a wonderful idea, but unfortunately it will not work, for it is too late. Here in England we are also struggling to be free from of a Zionist monolith called the European Union. Only Jesus can help us be free of the Zionist/Rothschid straightjacket we are in. All this is the fault of white Christians. One does not need a degree in history or politics to acknowledge this. It’s too late my friends. Jesus has promised us that the gates of hell would not prevail against His Church. Look in the mirror and ask yourself that simple question! That is what this is all about. 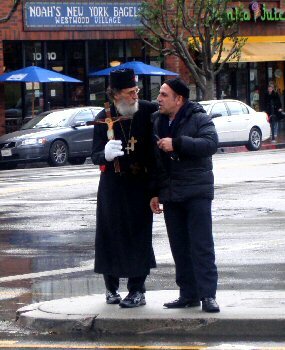 Thank you Brother Nathanael for everything you do. I like the idea of secession, because it will make States compete with each other for who can provide the best government. Right now the differences between the States are minuscule due to the heavy hand of the Federal Government. But the people are brainwashed by the Jews who own the Federal Government. They are not ready for freedom yet, first they must suffer. From a strategic perspective, this is kowtowing to the Zionist’s divide and conquer strategy. The only necessity is a reformation, not a revolution. Let’s not feed into the Koch Bros. tactics. I agree with secession wholeheartedly (even though I’m a monarchist). Right now its is the best option, Amerikans aren’t ready (they may never be ready) for a Sacred Monarchy (as they had in the Byzantine Empire and Tsarist Russia). If you ask an uninformed Amerikan what thy think of a monarchy thy would probably hate the idea. The monarchy I would subscribe to is a Sacred Monarchy yet one with a constitution. In Amerika’s current situation, I as many have said here, would stick to nullifying all JEW inspired laws in the Jew-nited States. The States that would have the best chances for a LEGAL (under international law) secession are: Texas (former Republic and illegally annexed) Vermont (former Republic), Alaska (entitled to the referendum on its legal status that was illegally denied to them by Amerika), and Hawaii (a former monarchy illegally annexed). California (although communist) is also entitled to a referendum on its status as it was a republic as well). Even my own state of Florida had a short lived Republic of West Florida which was a sovereign nation in the early 1800’s. Those states should all opt for secession as well as referendums that are internationally recognized. Restrict the Jew first, problem solved. Always happy to call you BROTHER, Nathanael Kapner! I consider myself a “Watchman on the Wall” in the biblical tradition, and I have been saying “SECEDE TO SUCCEED!” for years. The enemy is already within our walls, and commanding the halls of government. The socialist “Trojan Horse” was brought within our gates long ago and multi-culturalism was injected in our mainstream to destroy the Christian foundation of America! It is time to ditch Uncle Sam! What about Gaza and Palestine right now? They’re getting pounded again by the Israeli Jews. You can call it what you want - as long as the Jews rule. “As always, Jews initiate the violence and then cry foul when they are hit back. Good point. They need local smaller governments, they can’t obviously control 200 new nations — maybe half or more, but not all. Others can ally themselves whomever they want seek their own interests and disregard what the other States are doing. Look at what happened to Soviet Union, the country was divided but they can’t seem to control all of the new republics from Turkmenistan to Uzbekistan etc. The same thing could potentially happen in U.S., though people need to wake up first or as arjan said they need to feel THE HEAT. If you wanted to flush the USA down the toilet, wouldn’t you want to break the country up to make it weaker? Divide and conquer? Well, that is the other side of secession. Just, maybe, O’bama WANTS the States to secede so his OWNERS can more easily flush the country down the toilet and have the Elite take over. The “Elites” took over quite some time ago. These Zionist Jews are undoubtedly THE most stupid fools to ever walk the earth. Their time is about up. The nuclear attack on Israel, which cannot be stopped at this point, is about to level them once and for all. I am okay with secession, but I doubt it will happen. 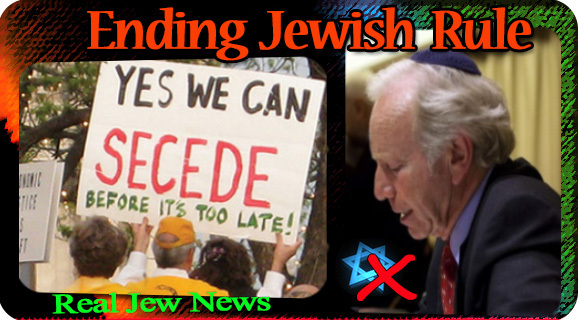 The cosmopolitan Jews and their supporters wont let it happen. Btw, I notice Liberals seem to hate the concept of secession… wonder why…? Government cannot serve two masters! A wise US Federal Government will not ignore the recent reaction of almost a million American citizens who think it is time for American Government to follow the tenets of the US Constitution. The present petitioning for secession by an astounding number of almost a million Americans presents a response that was foreseen by the founders of this nation when the Declaration of Independence was written in 1776. Various signers of the Declaration expressed their concern that the new Government might be endangered if the Constitution is not followed faithfully. The many petitions, that the many thousands of People have now publicly published, charge that the Federal Government has usurped the powers of the States and abused the People of the States. The violations of authority committed by the Federal Government have been clearly explained and documented by certain members of Congress and by renowned scholars of Government who believe the role of Government must serve the unalienable Rights of the People. The American People have the responsibility to examine what they should do about the violations of the Constitution by the Federal Government. The recent election is over, but the present exercise of the powers of the Federal Government, as an expressed intent of the President, is to personally use the war authority to permit him to kill people without trial and to use America’s war powers to dominate the People of other nations, without the consent of such People. Eventual retaliation by other nations threatens the security of the People of these United States. It is clear, that many thousands of People have exercised their right to petition the President to resolve the Constitutional grievances that have been presented to the Presidency. The response by the President will determine if the American People can expect the President to comply with the tenets of the Constitution and end the violations that he has committed in his executive orders and his commitment of US Military and Intelligence organizations to illegal and unjust war operations in Libya, Syria, Afghanistan, Pakistan the Middle East and Africa. Without a reply to the grievances of the People, the necessity to impeach him from office by trial is self-evident. The Declaration of Independence makes the People of these United States responsible to decide if our Federal Government – the President and/or the Congress – has become destructive of the unalienable Rights of the People. The time has come, when we the People have the very important obligation and responsibility to decide if the present form of Federal Government can be altered to become the Government that will truly conform to the tenets of the Constitution. How will the People choose to alter the Federal Government; will they need a convention to do that? Who will represent each of the States? Once the changes have been identified by agreement of all the States, who will be responsible to put them into effect? What will be required to present the changes to the People of each State and obtain their approval of the final enactment of the changes? What changes will be required for the US Congress to design with legislation that fulfills the intent of the Constitution and the petitioners? If it becomes the obligation of the People to abolish the present Federal Government, it then becomes the responsibility of the People to institute and establish new Government, laying its foundation on such principles and organizing its powers in such form, as to the People shall seem most likely to effect their Safety and Happiness. There may be a need to provide an automatic lock that would prevent a future President or Congress from abusing the powers of Government by the un-Constitutional behavior of incumbent employees of Government. - A Presidency assumes war powers without the legitimate use of them. - A Supreme Court judgment is destructive of the unalienable Rights of People. The thousands of secession petitioners represent a legitimate concern about the Rights of People that are described in the second paragraph of The Declaration of Independence. If the President ignores the petitions from thousands of People in the 50 States who want to alter the present Government of the United States, then un-Constitutional actions of the Federal Government can be expected to convince the People to abolish the entire Federal Government and construct a new Government that is in accord with the Constitution. If Congress fails to move for impeachment of the President, will the oaths of the Military - sworn to protect the Constitution - authorize the Joint Chiefs of Staff of the Military to protect the Constitution and assume the authority to prosecute the President and save the nation as the United States? America is at the crossroad of our future! Speaking as a direct descendant of Pocahontas, I approve of new start for former USA and it will require proof of birth in local area. Not just on internet. It will not allow for banks too big to fail. It will rule nuclear energy too dangerous to continue. It will not allow its Central Bank to be privately owned. No president will be able to make EOs without regard for constitution. EOs will be all but eliminated. Three major political parties will be minimum. No president can declare war without approval of all States and Congress. No person with dual citizenship will be approved. Nor would he be accepted in Congress. War will be automatically terminated at soonest possible date. No long term declaration of emergency will be allowed without cause which will be well known. If States seceded how would they protect themselves militarily? Hello all patriotic brothers and sisters!! First, to C-Biscuit, great post, and very well spoken!! Next, Lynda, the States will protect themselves the same way that the Federal Government was/is constitutionally required to protect itself, without standing armies and with the support of a well-armed populace (the militia). However, our modern privilege in the several states is that the United States possesses thousands of nuclear weapons under the control of various people and located in various States. Further, it is likely that any smart scientist and computer wizard could launch any land based missile if given access. What this all means is that any governor that has access to a nuclear weapon can as easily stop an invasion of his sovereign territory by merely re-aiming his missile in the direction of Washington, DC or in the direction of any invasion force. There is a reason why we invaded Iraq and not North Korea… and the reason was simple… we KNEW that Iraq had no weapons of mass destruction and we knew that North Korea DOES!! So, for instance, if a Texas-loyal captain pilots a nuclear sub, then Texas can secede; if a Louisiana-loyal pilot flies a nuclear bomber out of Barksdale Airbase, then Louisiana can secede, etc etc. In other words, if a few States secede with nuclear weapons, the federal government will be powerless to compel them to continue as slaves. Deal done. The South rose again!! And truly, it is the South that is rising again, don’t be fooled. It is the liberty of Jefferson, Henry, and President Jefferson Davis and General Lee that we are witnessing the re-birth of. All of the above were Southerners. Those rising today are primarily Southerners and their philosophical progeny, of which I am one… American by birth but Southern by the grace of God!! Secession is the answer the Founders gave to all of us when the Union they formed would become less than perfect and fail to serve The People. Certainly, we are not represented as individuals by a Congressional member of Congress. There are far too many of us to have the type of government the Founders intended and that which we should strive to maintain. The ONLY answer at this point IS secession. If and when it is successful, TSA, “homeland security”, the faux “war on drugs” …, the burgeoning Tax Code and its enforcers — will all cease. But we should not kid ourselves, this will be a Second Civil War. And it may well be far bloodier. May God give us the strength to be moral, courageous, and self-determined. I’m thinking of starting a grass roots organization where everyone agrees to not waste money going to ball games, restaurants, bowling alleys and they can take the money they saved by not spending hundreds on those ball game tickets. We got to show these people going to monster truck shows and NASCAR races is a waste of money and they could pool their money for other uses. Now with Christmas coming I’m sure money dries up even more. It’s long time we stand up, told the Zionist Jews they’re persona non grata from now on, and kick their sorry asses all the way back to the former Khazaria, where they belong; this, after having seceded from this rotten Federal System. Also, within our then independent States, nobody seeking political office, from Chief Executive to legislators and judges, will possess dual citizenship. This is the most serious problem with many Senators and Congresspeople today. They cannot serve two masters; period. This dual citizenship problem is what’s fueling the outright treason within Capitol Hill. The Constitution is explicit on the issue of citizenship; that all officeholders must have US citizenship only. This is to ensure that they will reserve their loyalty to this Nation and its People; and, in contrast, to punish those who betray that loyalty. Since Federal officials continue to disregard this law, it’s up to the citizenry in all 50 states to work diligently for secession to succeed; then, we’ll be able to remove those traitors from office and prosecute them for their crimes. I agree with secession being a divide and conquer tactic. It splits the country up and makes it weaker. Better to EJECT Washington DC from the Union. It’s only a district - not a state. People need to realize that if Jews control the American government, what makes them think that they won’t be able to control the separatist states? In a liberal secular democracy, the laws can’t ban a certain ethnic or religious group from controlling the media, reserve banks and the music and movie industries. The only government that will ban Jews from controlling those industries, is a nationalist dictatorship or religious dictatorship. People need to do away with this dreamy Western idea of secular democracy. Secular democracy was introduced by Jews into the West, sometimes by force (ie. French Revolution), specifically because in a secular democracy, they can sneak to the top, and gain control the media, banks and other industries, and than use it to control us, and help themselves and Israel. Secularism means, a political system ‘without religion,’ or ‘without God,’ and it’s atheistic type of ideology that erodes Christianity, and Christian ethics and ideals in society, as we’ve seen. It is an anti-Chrisitian philosophy, a fanatical atheistic type of ideology and rule. The only way to stop the Jews ruling over us, and restore Christian ethics and culture in society, is a Christian theocractic Dictaorship. A liberal democracy, whether it be the American government, or separatist American state, will never be able to shake off the Jews’ tyranny. Republic/democracy = Jew code-word = King killed. How do you win a chess game? You kill the king. What is a chess game all about? Killing the king. What was all the Jews prime goal 1917 and before? To kill the Russian king. What happened in Napoleon France 200 years ago was NOT French nor a “revolution” -it was a Jewish coup. Napoleon France was the first country in the world to give the Jews equal rights. To make my point, I need to use the first 2 paragraphs on the subject from our beloved Wikipedia. Excuse the inserting of lines to facilitate the message. Excuse also not using double-quotes. Stars are used to highlight words/phrases. It is characterized by *fair, free, and competitive elections* between multiple distinct political parties, a separation of powers into different branches of government, the rule of law in everyday life as part of an open society, and the protection of human rights and civil liberties for all persons. After a period of sustained expansion throughout the 20th century, liberal democracy became the predominant political system on Earth. A liberal democracy may take various constitutional forms: it may be a constitutional republic, such as France, Germany, India, Ireland, Italy, or the United States, or a constitutional monarchy, such as Japan, Spain, or the United Kingdom. It may have a presidential system (Argentina, Brazil, Mexico, the United States), a semi-presidential system (France and Taiwan), or a parliamentary system (Australia, Canada, India, New Zealand, Poland, the United Kingdom). CONCLUSION: I think that the only difficulty with your dissertation lies on the fact that you believe in the factual/real existence of *Democracy* (as per definition of the word). While I agree with everyone that it is a nice concept, people who have struggled to expose the truth have shown us that your assumption does not rest on solid ground. Sadly, your assumption is shared by the majority of the people (who we may call: the deceived ones). Fortunately, websites like +BN’s help to counter the deception. To have a glimpse at the magnitude of the deception, one can have a look at the many books that have been suppressed. I have been fortunate to have read, in the very recent past, the following golden nuggets of information: #1 The Controversy of Zion by Douglas Reed (1956, published in 1978); #2 The World Conquerors by Louis Marschalko (1958) and #3 From Major Jordan’s Diary (http://www.youtube.com/watch?v=BCiylpzR60U). If your referring to me, I certainly don’t believe in the believe in the factual/real existence of *Democracy* as you put, hence why I clearly spoke out against it, in my previous post. Maybe you misread it? I believe ‘democracy’ is simply a secular dictatorship run by Jews. Democracy claims that people can choose whichever political party they want, and are free to have whatever opinion they want. But the reality is people don’t truly have their own opinion, as the Media (which is run by Jews) tells people what to think, and which political parties to vote for. (Always the 2 or 3 main secular parties that are meant to be eachothers ‘opponents’). 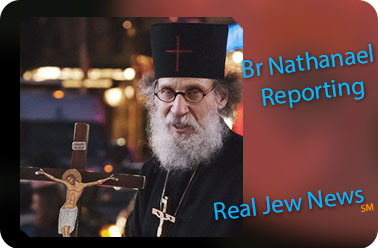 Any theocratic Christian party would be crucified by the Jew media. So around election time in Western countries, the votes represent which non-Christian, secular parties, the Jew media has promoted to the masses. So no, I definitely don’t believe in the real concept of a democracy. • Why can’t Americans manufacturer rope and other products from hemp? • Why are Americans not allowed to use gold and silver as legal tender as mandated by the Constitution? • Why is Germany concerned enough to consider repatriating their gold held by the FED for her in New York? Is it that the trust in the U.S. and dollar supremacy beginning to wane? • Why do our political leaders believe it’s unnecessary to thoroughly audit our own gold? • Why can’t Americans decide which type of light bulbs they can buy? • Why is the TSA permitted to abuse the rights of any American traveling by air? • Why should there be mandatory sentences — even up to life for crimes without victims — as our drug laws require? • Why have we allowed the federal government to regulate commodes in our homes? 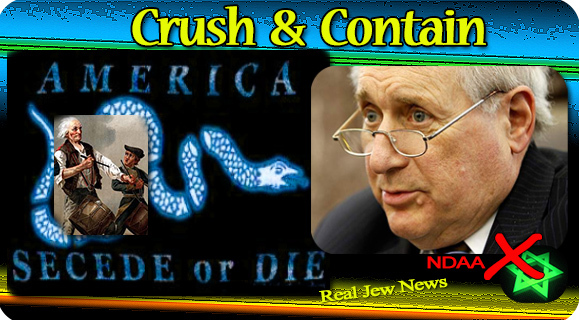 • Why is it political suicide for anyone to criticize AIPAC ? • Why haven’t we given up on the drug war since it’s an obvious failure and violates the people’s rights? Has nobody noticed that the authorities can’t even keep drugs out of the prisons? How can making our entire society a prison solve the problem? • Why do we sacrifice so much getting needlessly involved in border disputes and civil strife around the world and ignore the root cause of the most deadly border in the world-the one between Mexico and the US? • Why does Congress willingly give up its prerogatives to the Executive Branch? • Why does changing the party in power never change policy? Could it be that the views of both parties are essentially the same? • Why did the big banks, the large corporations, and foreign banks and foreign central banks get bailed out in 2008 and the middle class lost their jobs and their homes? • Why do so many in the government and the federal officials believe that creating money out of thin air creates wealth? • Why do so many accept the deeply flawed principle that government bureaucrats and politicians can protect us from ourselves without totally destroying the principle of liberty? • Why can’t people understand that war always destroys wealth and liberty? • Why is there so little concern for the Executive Order that gives the President authority to establish a “kill list,” including American citizens, of those targeted for assassination? • Why is patriotism thought to be blind loyalty to the government and the politicians who run it, rather than loyalty to the principles of liberty and support for the people? Real patriotism is a willingness to challenge the government when it’s wrong. • Why is it is claimed that if people won’t or can’t take care of their own needs, that people in government can do it for them? • Why did we ever give the government a safe haven for initiating violence against the people? • Why do some members defend free markets, but not civil liberties? • Why do some members defend civil liberties but not free markets? Aren’t they the same? • Why don’t more defend both economic liberty and personal liberty? • Why are there not more individuals who seek to intellectually influence others to bring about positive changes than those who seek power to force others to obey their commands? • Why does the use of religion to support a social gospel and preemptive wars, both of which requires authoritarians to use violence, or the threat of violence, go unchallenged? Aggression and forced redistribution of wealth has nothing to do with the teachings of the world great religions. • Why do we allow the government and the Federal Reserve to disseminate false information dealing with both economic and foreign policy? • Why is democracy held in such high esteem when it’s the enemy of the minority and makes all rights relative to the dictates of the majority? • Why should anyone be surprised that Congress has no credibility, since there’s such a disconnect between what politicians say and what they do? Robert, you cannot put “old wine into new skins”. Annexing DC will not solve a system-wide problem. We must abolish what has not worked and establish a new country based on the original Constitution, not what it has morphed into for the past 80 years. Sorry, don’t agree with just annexing DC. Netanyahu and Israel surely have vulnerabilities. Without America’s military, diplomatic and economic support, Israel could not exist in its present form. One-quarter of Israeli wage incomes are derived from American aid money, German reparations and various charities. Without that outside assistance, Israel’s standard of living would sink dramatically. Kissinger’s statement is flat and unqualified. He is not saying that Israel is in danger, but could be saved if we just gave it additional trillions of dollars and smashed enough of its enemies with our military. He is not saying that if we elect Netanyahu’s old friend Mitt Romney, Israel could somehow be salvaged. He is not saying that if we bomb Iran, Israel might survive. He is not offering a way out. He is simply stating a fact: In 2022, Israel will no longer exist. The US intelligence report observes that the 700,000 Israeli settlers illegally squatting on land stolen in 1967 - land that the entire world agrees belongs to Palestine, not Israel - are not going to pack up and leave peacefully. Since the world will never accept their ongoing presence on stolen land, Israel is like South Africa in the late 1980s. The extremist Likud coalition governing Israel, according to the US intelligence report, is increasingly condoning and supporting rampant violence and lawlessness by illegal settlers. The report states that the brutality and criminality of the settlers, and the growing apartheid-style infrastructure including the apartheid wall and the ever-more-draconian system of checkpoints, are indefensible, unsustainable, and out of synch with American values. That hearsay Kissinger “quote” from the Murdock-owned, sensationalist tabloid NY Post originated with an 82 year old gossip columnist and writer Cynthia “Cindy” Adams (née Sugar; later Heller; born April 24, 1930). She offers no context for the quote, or when he allegedly said it to her. Last week? 5 Years ago? 2 decades ago? The quote is widely published and Kissinger, personally, has not gone out of his way to deny something that controversial. KathJuliane is correct. The Kissinger story is a false report. Kissinger is a JEW and LOYAL to the TRIBE and their stolen land of IsraHell. The quote is from RON PAUL and his last address to Congress. Maybe Natural News pulled out this info from his list, but Natural News did not write this list — Ron Paul did! That’s something not only to remember, but to strive to remember and give credit to one of the greatest statesmen in the last 50 years…or more!! Ok ok then let’s say it’s Cindy Adams who said it. It’s still sound prophetic and believable. If it comes from Kissinger then maybe he’s a Jewish seer. Many of us here are young enough to survive the next 10 years, I’ll put my money on it. ROOT OF ALL USA’S PROBLEMS: A MISTAKE IN THE CONSTITUTION. 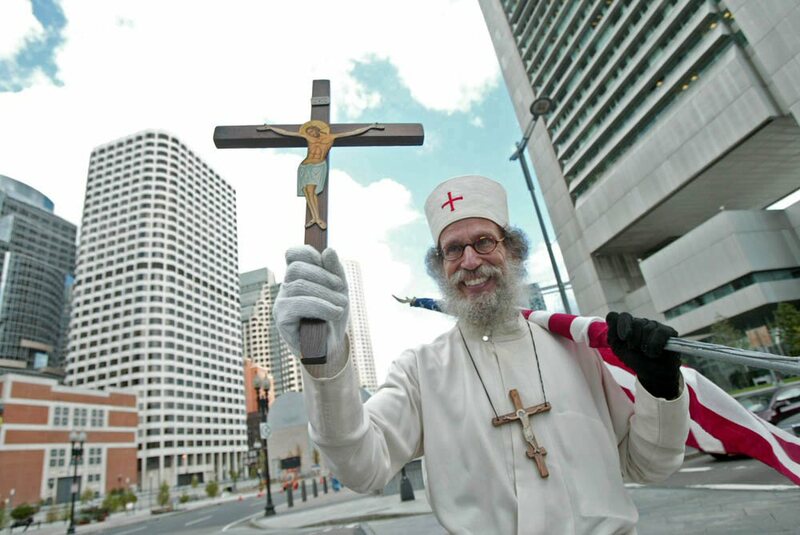 Thanks for the great website, Brother Kapner. The biggest war on America by our government is flooding our nation with 3rd world aliens. The reason our politicians continue to import aliens despite the harm to society and the public opposition (80-90% against) is because there are no NATIONAL REFERENDA in the United States. Many other countries, including 3rd world countries, have it, but not the US! It is a shame that US, which claims to be a “world-class” advanced nation, is a mere pseudo-democracy. It is tragic that our Constitution lacks the most basic and elementary human right–national referenda. The three branches have become corrupt, usurped power, and all three branches are controlled by Dems who keep imposing tyranny on us with impunity. But there is a solution to this government’s war on the nation. It is a constitutional amendment to allow irreversible binding superseding national referenda, so people can pass good laws in the national interest themselves. These laws will supersede laws passed by Congress and cannot be overturned except on constitutional grounds by a super-majority of both Houses and a unanimous vote of the Supreme Court. The people can then still override it with a 66% vote. Some believe that this right to amend the constitution is inherently vested in the American public (the US citizens). Others suggest an actual amendment. A survey showed that 76% of the public approved the idea. We can pass a national referendum that all laws that affect the nation as a whole, such as raising taxes, large welfare programs, foreign aid, immigration, bailouts, and raising the debt ceilings, etc. can become law only if finally approved by the people. We will solve 90% of our problems this way. The National Initiative For Democracy above (ni4d) is in the process of making a documentary about national referenda to bring this issue to a wider audience. They are seeking contributions. We Americans need to visit these websites, join these groups, contribute and call radio talk shows, etc. and promote this idea and get the process started soon, before it is too late or America, as we know it, will be finished. 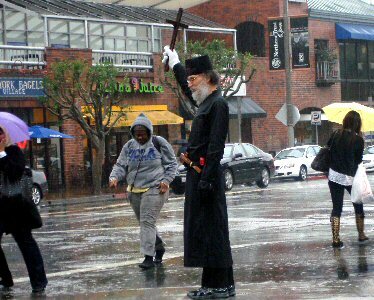 Watching Brother Nathanael’s videos I thought I was watching comedy, you know, like the Colbert Report on Comedy Central. Then started reading the comments here and thought they were really funny too, until I finally had to recognize that this was not comedy. You folks really believe what you are writing. Please, oh please, oh please secede!!!!! PLEASE!!!! I’m sure Texas will do just fine as its own republic or theocracy or monarchy or lawless territory or whatever it is you want to make it. The other Red states that the Blue states have been supporting all these years won’t do too well, but if you folk want to go back to previous centuries, become even more illiterate and poor, well I guess that’s your problem. California, not long ago, was the fourth richest nation in the world (if it were separated from the U.S.). Now, we’re about 7th (some Asian countries have moved up the list). We want good public schools, we want health care for all. We want ecology. We want conservation. And so forth. Please let us live the way we want to. I’m a North California Girl (3rd generation Californian), and for years we’ve wanted to secede from Southern California and become the 51st State. Maybe that way the independent farmers and ranchers up here can have all the water they need, and all of our reservoirs can be kept full and generating power, if we cut the Los Angeles Region loose from northern water sources. And, if California seceded, maybe we can finally rewrite the State Constitution, which has had over 500 amendments added to it, making it one of the largest (and mostly unreadable) constitutions in the world. Rewriting the SC just might help streamline the nightmare labyrinth of multi-layers of regulations state administrations to enforce those regulations, which makes this State the most over-regulated state in the US and the world. And, if the entire State managed to secede, maybe it could finally balance its budget. The iron grip of the Jews in Washington is too tight, nobody can break it. Imho. Secession is a way to get rid of all debts and start with a clean slate. The Jews are not evenly distributed all over America. In some states are many Jews - they have no chance to survive - and in some states are nearly no Jews. So secession is a strategy that even some states of US can survive. If the old host dies, they are going to “mutate” (=intermarry with the elite of the new host countries) and jump over. Probably to China or India. They have done this often times in the last centuries - despite their racist religion - and they will do this again. Breeding with subhumans is not a problem for them - as long as if they are kings, emperors, billionaires or anything which has use to them or helps them to hide. So I will bet my last shirt that there are more than enough brown-skinned billionaires in India with a cutted foreskin. We have to preempt this. It is time that we are one step before them instead one behind. I have started to learn Mandarin recently. And you betcha - soon they will know the truth!! If 2 or 3 others will join it will be enough. Than in 5 years everybody will know who plunged China into drug-addiction and why. The times, where these criminals can hide, are over. Do something! Learn the languages of their victims and enlighten them! Our survival depends on this. 5 committed speakers of Hindi or Mandarin are enough and we can turn the tables. Who is willing to take on this this task to redeem mankind ? Now, of all times, let us one step be ahead. 3-5 years of learning are enough and we can change everything! Think of your children - invest 3 years - and they will have a future. I will follow you sickos untill hell if need be. And if I have to learn 100 languages - I will do it. Soon everybody will know what kind of sickos you are! Everybody will know what kind of “humans” you are. Believe it or not - Sooner or later everybody will know it - especially in East Asia. Forget your new hide-out ! I’m interested in your worldview. 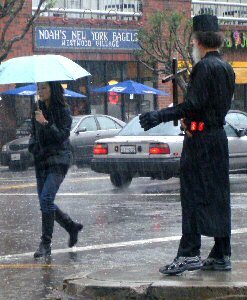 Are Jews evil because they are Jewish or Jewish because they are evil?